The British were planning to break out of the town on June 18, but a businessman from New Hampshire visiting the city alerted the patriots after overhearing the plan. At this time, the militia was under the command of Massachusetts General Artemas Ward. 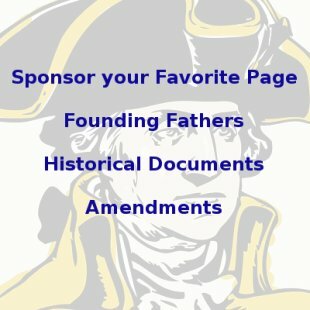 The Continental Army was only authorized in Philadelphia on the 14th and George Washington appointed its leader on the 15th. The events that unfolded on Bunker Hill and Breed's Hill occurred several weeks before Washington arrived and took over. On the night of June 16, 1200 soldiers entered the Charlestown Peninsula north of Boston under Colonel William Prescott. Prescott's orders were to build fortifications atop Bunker Hill on the northwest part of the peninsula. Prescott disobeyed the orders and built atop Breed's Hill instead, which was further south and closer to Boston. 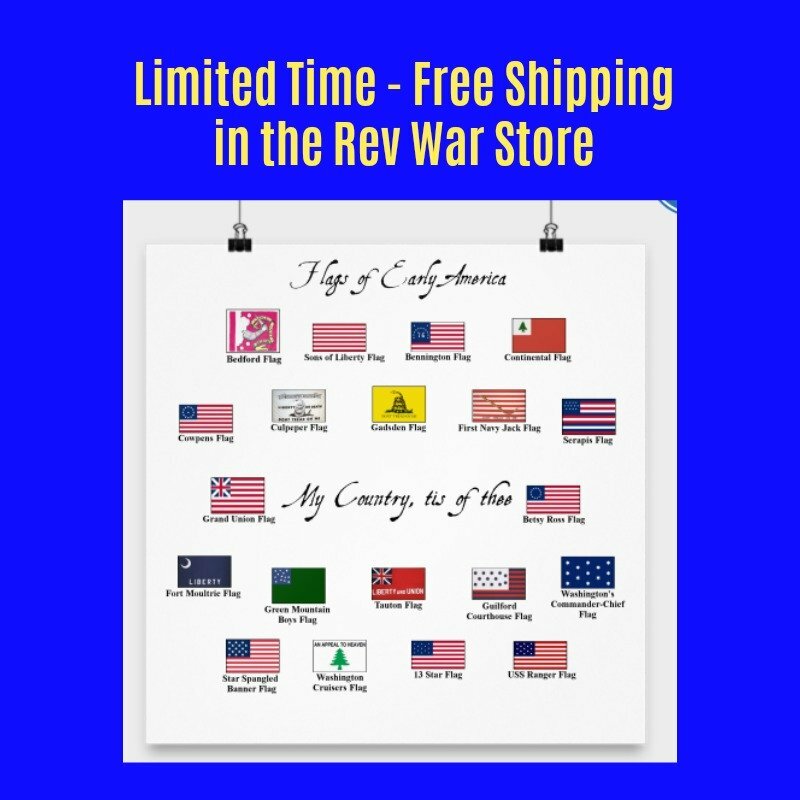 This defiance of orders was typical of American movements at the time since the militia was made up of units from different counties and cities with no established chain of command. 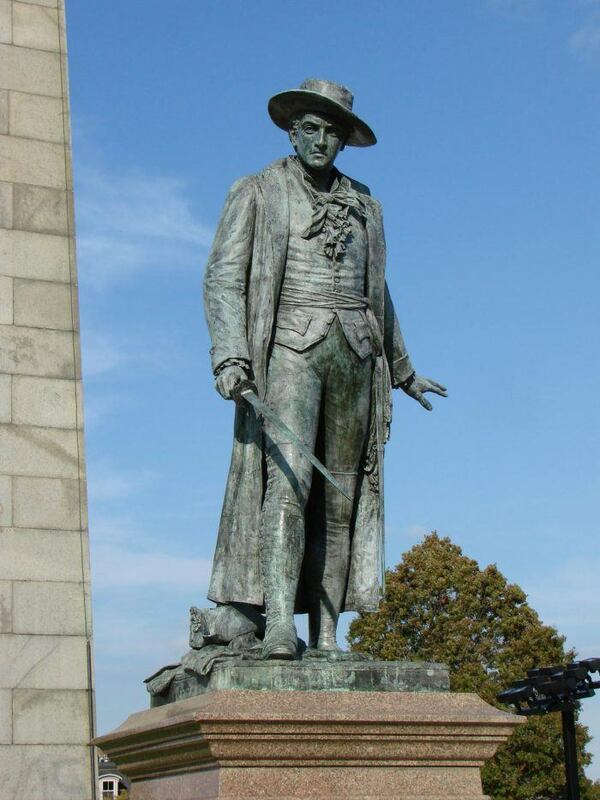 Across the water in Boston, British General Thomas Gage was informed of the American movements early on the 17th. He began preparing an assault on the peninsula, but the soldiers took their time and didn't begin landing until late in the afternoon. 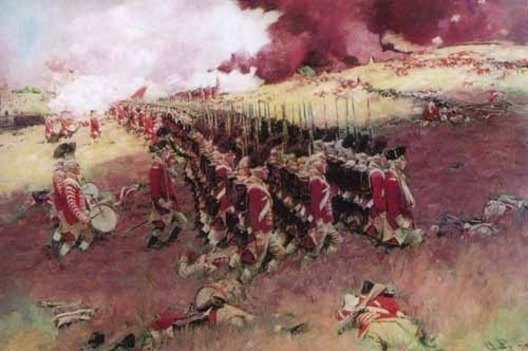 By 3:00 the British began their first assault. American commanders had ordered their soldiers not to fire until the British were within close range in order to assure that every bullet would count since they were very low on ammunition. The first British assault turned into a massacre as the Americans fired on them as they marched up the hill on Prescott's position. Colonel John Stark repelled another attack on the left flank by British Major General William Howe. Dozens and dozens of British soldiers fell and the survivors were forced to retreat. A second assault had the same results. The British regrouped once again for a third assault, but this time the Americans on Breed's Hill ran out of ammunition. British soldiers crawled over their own dead comrades to get to the top of the hill where hand to hand combat began. The British, who were better equipped with bayonets, finally drove the Americans back across Bunker Hill and across the Charlestown Neck. The Battle of Bunker Hill was a victory for the British since they took the peninsula, but at an enormous cost, suffering over 1,000 casualties! 226 were killed and over 800 injured. A large chunk of Britain's officer corps in North America was killed or wounded, including the entire field staff of General Howe. The Americans lost 115 killed and 300 wounded, including the President of the Massachusetts Provincial Congress, Dr. Joseph Warren.